Like the country boy next door, Jesus modeled a grassroots faith that can move mountains. He didn't come to start a mega-church or raise money for a new sanctuary. He didn't come for the religious elite or people who think they have all the answers. He came for good old boys and country gals. He came to love and show that knowing his father is as free and easy as a summer breeze on a front-porch swing. If you want to find God, then it's time to lose religion and meet a country boy from Bethlehem. 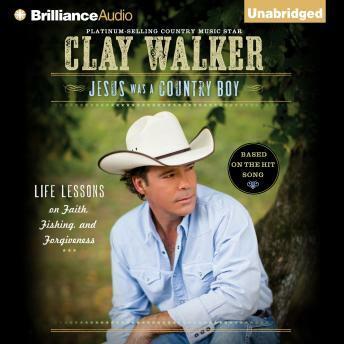 Clay Walker - a mega-star in country music and highly regarded humanitarian - writes with a lack of pretense and a hands-on attitude toward life, drawing from his own humble beginnings and reminding listeners what it means to be grounded in faith and home-grown in love.